Preparing the kids for First Communion? How do you plan to introduce the Real Presence of Jesus in the Eucharist to the kids and family? 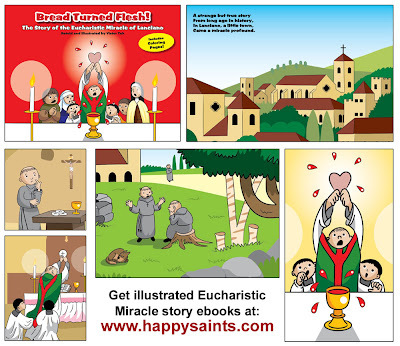 Here's an idea: present and narrate a slideshow story of one of the great Eucharistic Miracles of the Church, such as the famous Miracle of Lanciano, where the Host changed into real Flesh.